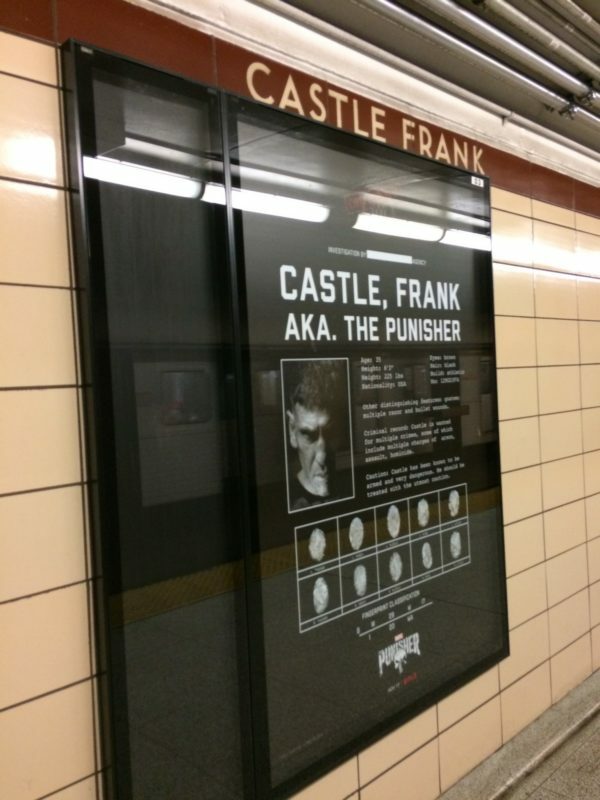 Castle Frank, a station on the Toronto Transit Commission’s Bloor subway line is currently displaying a unique – and savvy – bit of PR for Netflix’s latest comic-book-based superhero show. 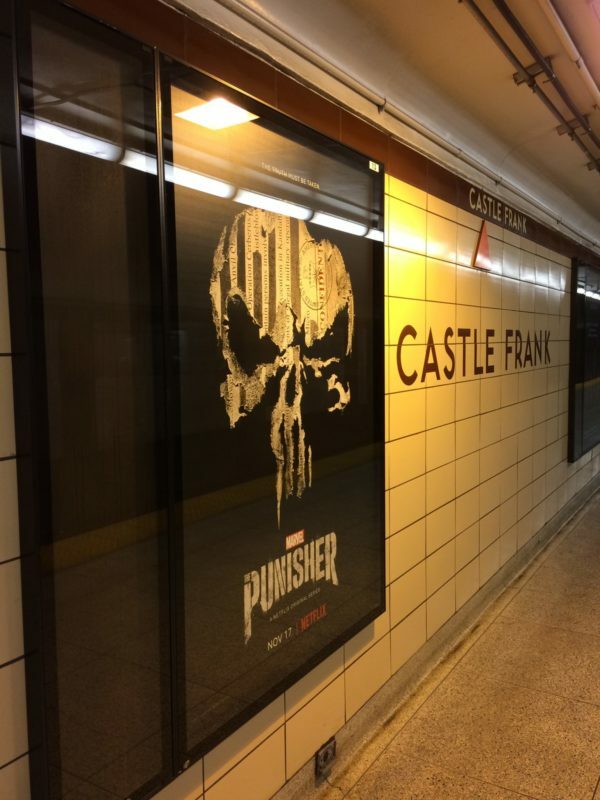 The station’s platform posters currently featuring advertising for The Punisher, a spinoff of Marvel’s Daredevil, featuring the popular vigilante character first introduced in a 1974 issue of The Amazing Spider-Man. The Punisher is a war vet who fights crime on the streets of New York, and whose real name is Frank Castle. Toronto’s Castle Frank is named for a plat of land purchased in 1793 by John Graves Simcoe, the first lieutenant-governor of Upper Canada (now Ontario), for his son, Francis. The Punisher debuts on Nov. 17.